The surface element in your KitchenAid electric range model KFEG500EBL is found beneath the cooktop. When the element burns out, you’ll find the cooktop burner does not produce heat. Performing a visual inspection of your stove’s surface element will tell you whether or not it needs to be replaced. If there are breaks or burn spots on the element coils, the element is definitely the problem behind your cooktop burner not heating up. Unplug your range, or if you can’t reach the plug, turn it off at the circuit breaker. For your own safety, we highly recommend wearing work gloves and safety goggles during your appliance repair. Open the oven door, and unthread the two screws securing the cooktop to the range. Lift the cooktop up and slide it to the left to detach it from its hinges. The cooktop is heavy, so be careful picking it up and putting it down. Before detaching any wires from the surface element, take a picture to document the correct placement of the wires. Then, pry the wires off the faulty element with a flat head screwdriver. Use a pair of needle nosed pliers to release the retaining clips holding the surface element in place. Once the element is free, turn it over and take a picture of where the clips are positioned and then remove the retaining clips from the element. Attach the retaining clips you took off the old element to the new surface element. Make sure you consult the picture you took to ensure the clips are positioned properly. Now insert the clips into the slots on your range to secure the surface element to the stove top. Look at the photo you took of the wire connections, and then attach the wires to the terminals on the surface element. Retrieve the cooktop, and align the hinges and hinge pins before carefully lowering the cooktop down. Open the oven door and reattach the two Phillip screws you took out earlier. Now that the cooktop is secure, close your oven door. Plug-in your appliance and turn on the burner to make sure it works. 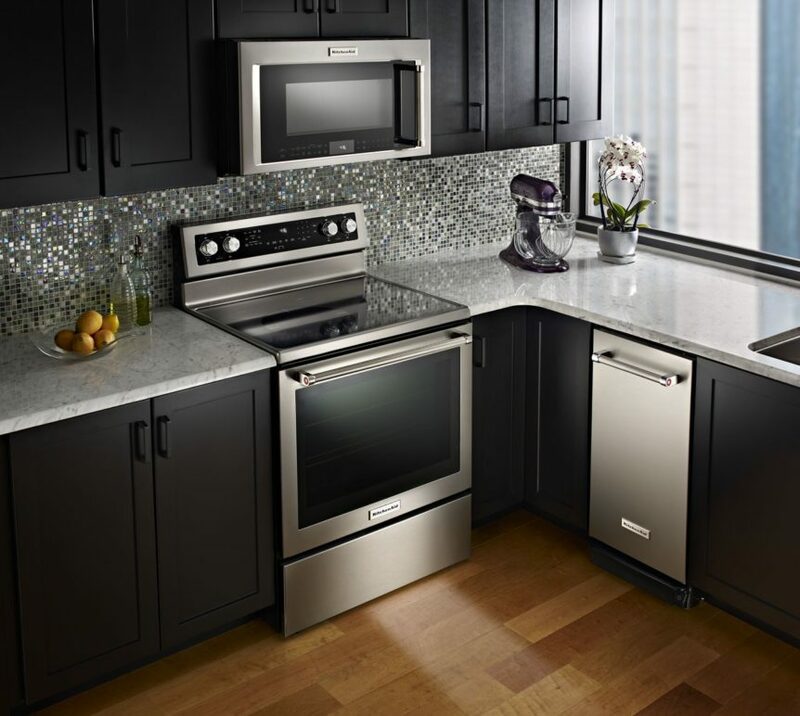 While replacing the surface burner on your electric range is a repair you can carry out yourself, other more serious malfunctions may require the help of an appliance repair technician. If you need the expertise of a professional repair technician, please contact us today and we’ll be happy to help you.